Let me begin by confessing that I am no big fan of J. R. R. Tolkien’s The Lord of the Rings cycle, and that makes me open to attacks from passionate fans of the cycle. One of the problems I have with The Lord of the Rings is its similarities with another Ring cycle: Der Ring des Nibelungen by Richard Wagner. One reason for the similarities between two Ring cycles is that both Wagner and Tolkien appeared to have consult the same sources in Norse Mythology—Völsunga saga and Nibelungenlied—but it is hard to believe that Tolkien was entirely not influenced by Wagner’s Ring, even though he refused to admit it. Apart from their common power to “rule the world,” whatever that means, both rings are somewhat cursed, and the bearers of both rings are harmed by the ring. And although the ring in Wagner’s Ring doesn’t make its wearer invisible, the gold that is used to forged the ring is also used to create a magic helmet called Tarnhelm, which makes its wearer invisible. Both Ring cycles also end with the destruction of their respective rings. Both Rings also have broken swords—Nothung in Wagner’s Ring, Narsil in Tolkien’s Ring—that are reforged for their heroes—Siegfried and Aragorn respectively. I don’t doubt Tolkien’s creativity, his deep knowledge in Norse Mythology, and the importance of this series of books, which have long become the foundation for modern Fantasy fictions, but there are bigger problems I have with the series. The Lord of the Rings was meant to be a sequel to The Hobbit, which was a short and highly successful children’s book. In the present-day, writing the Rings is the equivalent to making sequels (or prequels) in response to a surprise box office success of the original film. The sequels turn out to be rather less impressive, yet the success of the first film guarantees the success of the sequels anyway (The Matrix is a case in point). 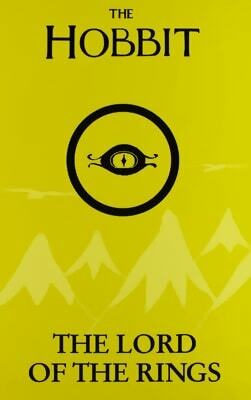 The Rings may or may not be meant to be a children’s book, but its being a sequel to a children’s book leads to the continuation of a immature tone and style, which, in itself, is not a sin; indeed, I am perhaps more at fault for reading it long after my teenage years have passed. Yet I can’t help but agree with Edmund Wilson, who once wrote that the Rings is a “children’s book which has somehow gotten out of hand”. Both The Hobbit and The Lord of the Rings rely on an absurd amount of deus ex machina to resolve unsolvable situations. Those Eagles are one of the most oft-mentioned use of deus ex machina, but they are by no means the only suspect. Early in The Fellowship, the appearance of Tom Bombadil out of nowhere is one of the most ridiculous examples of deus ex machina, for not only does he appear out of nowhere to save the hobbits, he seems to have very little to no function to the rest of the story other than saving the hobbits twice. Other notable problems, especially in the earlier parts of The Fellowship, include the incredible amount of time spent on the hobbits’ journey through the wilderness, getting lost, and finding their ways while nothing else seems to have happened other than occasional sightings of the Black Riders, who are said to possess the ability to trace the one Ring but failing it; the reliance of lengthy dialogues to tell the background story of the One Ring; and so on. However important this series of books is, these issues make the trilogy a surprisingly less-than-pleasant read.